She is a fully certified Reflexologist. Reflexology is art of pressing the acupressure points under the feet to detoxify the body, boost the immune system and rebalance the organs and glands. Like chiropractic, reflexology balances the inner system. She studied reflexology at “The Institute for Integrated Therapies” in Vienna, VA with the known late teacher Margaret d’Urso, a student herself of the famous American physiotherapist Eunice Ingram. She got her certification in reflexology in 2000 with 130 hours of studies and 100 hours of practice required to get her diploma. She has been practicing full-time for many years and she is fully insured and abides to codes of practice, thus providing peace of mind when seeking treatment. Total professionalism and confidentiality are assured at all times. She believes in the benefit of holistic medicine and treats the client as a whole. She is continually educating herself on new practices and methods that can benefit her clients. 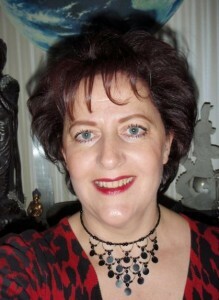 Brigitte has been involved in the holistic approaches since 1990. To provide more opportunity to help a wider range of conditions, although specializing in Reflexology, Brigitte has also been using Young Living Aromatherapy. She has also shared with the client different breathing techniques, guided them with positive thinking and integrated few minutes of healing and energy balancing at the end of the session when the client is opened to it. Reflexology is beneficial if you are healthy or less healthy, it is a good preventive therapy that helps, again, detoxifies, boosts your immune system and rebalances your organs and glands. It is excellent for stress reduction, improves sleep, enhances nervous system, blood circulation and mental focus. Brigitte has been working with clients who are healthy but also runners, and clients who have arthritis, lyme disease, ms, fibromyalgia, tension headaches, digestive disorders, hormonal imbalances (good for after pregnancy too), PMS, back/neck pain, plantar fasciitis and more. Reflexology is also used for post-operative or palliative care. A study in the American Cancer Society journal found that one-third of cancer patients used reflexology as a complementary therapy. Brigitte has helped pregnant women to encourage labor when overdue.